The Original street reporters, giving knowledge to the public about the reality they seen through their eyes. The Biopic film “Straight Outta Compton” directed by F. Gary Gary, has held up its end of the bargain giving the audience real events. 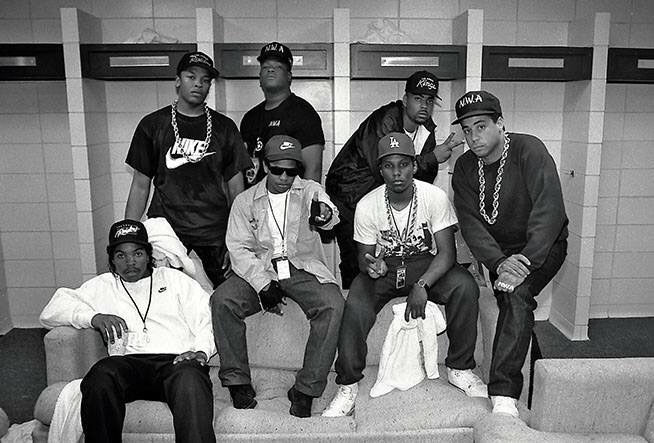 Taking us through a time machine of passion, highest valleys, and lowest depths of the groundbreaking gangster-rap group N.W.A. The task to portray each character was detailed so well it allows you to get lost in each character. We can thank Dr. Dre and Ice Cube, former members of N.W.A who Produced the their lives for the film. 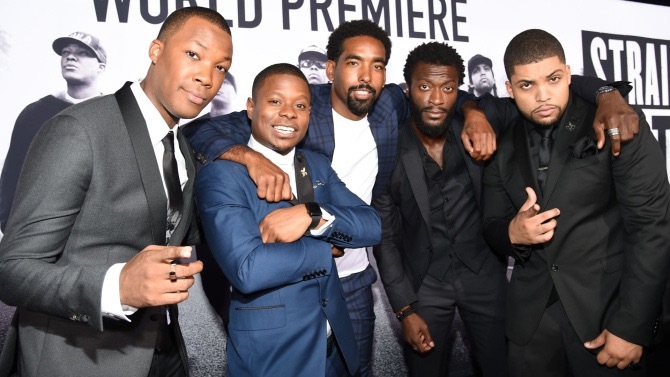 Cast: O’shea Jackson, Jr. Corey Hawkins, Jason Mitchell, Neil Brown Jr., Aldis Hodge, Marlon Yates, Jr., R. Marcus Taylor, Paul Giannatti. “Straight Outta Compton”, portrays the events as they happened from Ruthless Records, Priority Records, down to the split of the group, and the creation of Death Row Records. With the original members, Eazy E, Dr. Dre, Ice Cube, DJ. Yella, and MC Ren, the relationships with Suge Knight, Snoop Dogg, 2Pac, and Bone Thugs N Harmony. The Family tree and lineage stems further than the beginnings. The Relationship between Eazy E and manager Jerry Keller and the finances of the group was a pivotal moment in the film. Compton wasn’t only neighborhood but it was a story that changed Rap music and history today. Overall, The Bio-Epic channeled the birth and vision of one of music notorious voices. “Straight Outta Compton” in theaters Friday August 14th. Reblogged this on Socialbilitty's Official Reblog.